Plenty of possibilities! This property is zoned commercial but can also be use as a residence. 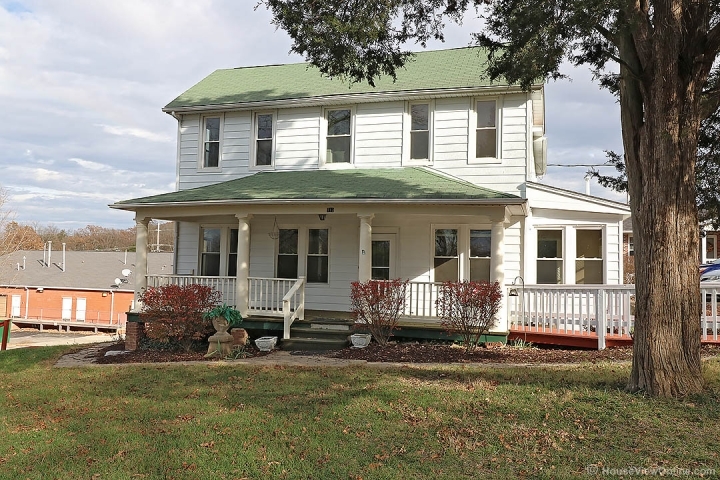 As you enter this 100+ year old home, you will quickly notice the charm in the entry foyer. To the left is the great room and to the right is the dining room with an extra nook. The eat in kitchen has plenty of room. There's also another room being used as a bedroom. On the upper level, you'll find 3 bedrooms, a bonus room and a full bath. You'll enjoy sitting outside on the oversized covered front porch while viewing the level front yard. This building can also be used for a business or office rentals. The choice is yours. The only thing missing is YOU!